Hello.. I am trying to better understand how one can correlate independent Wiener processes given a correlation matrix. Please see the attached notes. 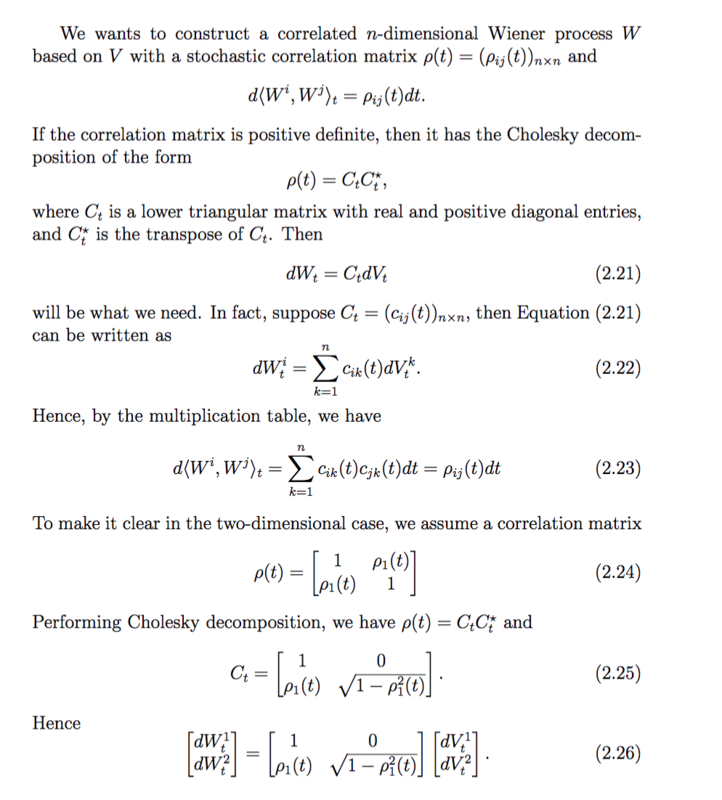 This method uses the Cholesky decomposition and I am aware that one can use the Cholesky but I want to go back to basics....how does one get to equation (2.26) without all this positive-definite/Hermitian stuff. Browse other questions tagged stochastic-processes brownian-motion correlation wiener-measure or ask your own question. Breaking up Wiener processes with indicator functions? Expectations of multiplied Wiener processes.